The iconic GTR returns after two decades! Want to go racing? It’ll cost you half a million bucks! If the rules allow it, that is! Launched in 2014, the McLaren Super Series included a batch of spectacular sports cars. Alongside the base 650S model, the British firm also launched the higher performance 675LT and the race-spec 650S GT3. Light, fast, and packed with the latest technology, the Super Series became McLaren’s most successful car. However, the British carmaker decided to replace it after only three years on the market. 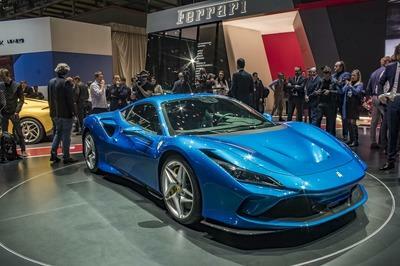 Its successor is called the 720S and boasts improvements in just about any department. It’s been six months since the 720S was unveiled at the 2017 Geneva Motor Show and McLaren announced that a race-spec GT3 version is also underway. 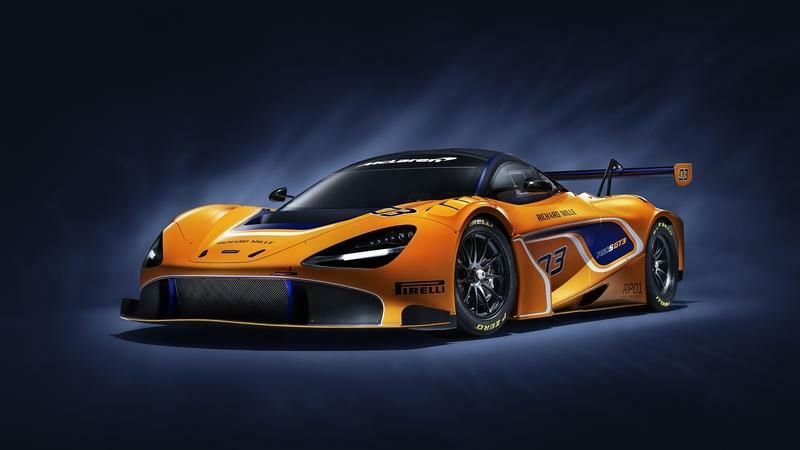 The new 720S GT3 will replace the 650S GT3, a vehicle that scored titles in all major motorsport series, including the Asian Le Mans Series, Australian GT championship, the Bathurst 12 Hour, Blancpain Endurance Cup and Pirelli World Challenge. But it won’t happen right away. Much like the 570S GT4, the 720S GT3 will have a trial season in 2018 and will completely replace the 650S in 2019, when it will be launched for customer teams. In addition to the new race car, McLaren also announced plans to introduce a new racing program and a one-make GT series for customers. It’s also planning to appoint a network of motorsport retailers which will sell road and track products alongside each other. But more about all of this below. We all know the names Enzo Ferrari, Ferruccio Lamborghini, and Ferdinand Porsche. They’re all titans of the industry and their legacies remain to this day in the manufacturers that still bear their name. One name who doesn’t get as much shine as he should is Bruce McLaren, the New Zealand-born driver, engineer, and inventor who founded McLaren. Well, if anybody wants to know more about McLaren and his impact on the history of motorsports, now’s your chance because a special documentary covering his life will be shown in the U.S. by video-on-demand next month. 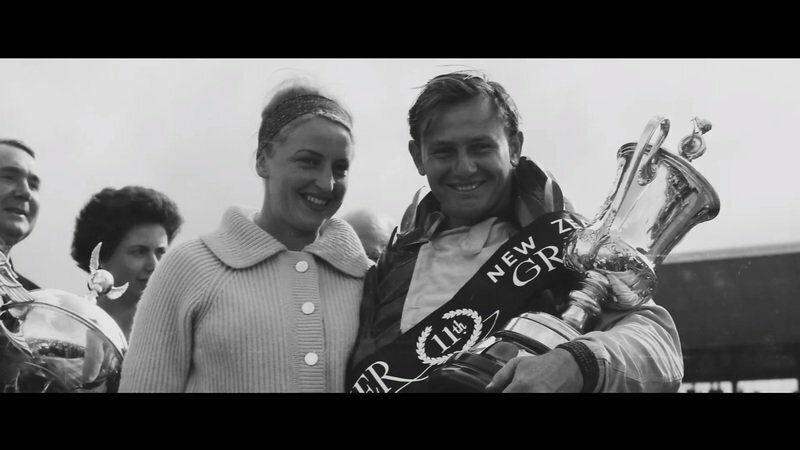 Aptly titled “McLaren,” the documentary covers McLaren’s whole life, beginning with his childhood in New Zealand all the way up to the tragic crash that claimed his life at Goodwood. It’s a little hard to believe that McLaren was only 32 years old when he died, but in the short time that he was alive, he managed to found a company and racing outfit that would go on to win 12 Formula One driver’s championships and eight constructor’s titles. 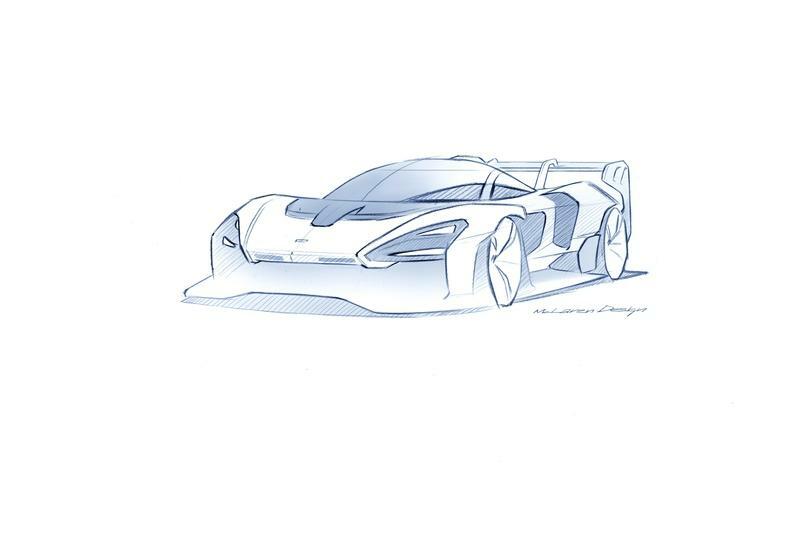 Today, we know of McLaren both from its exploits in Formula One and the supercar division that has given us exotic beauties like the P1, 720S, and the grandfathered yet still iconic F1 supercar. All of it started with Bruce McLaren, who lived long enough to create a lasting legacy of his name. Now we have a chance to see the man in ways we probably never have before. 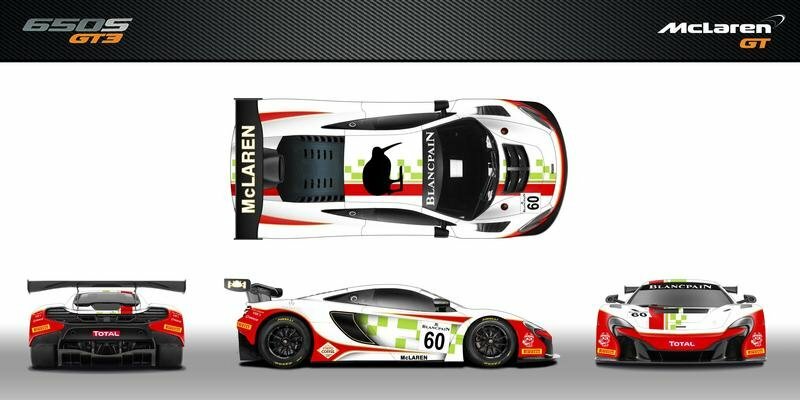 One of the three examples of the McLaren 650S GT3 that will race at this years 24 Hours of Spa will wear a special livery, the British firm announced today. The car run by customer team Garage 59 will wear a unique paint job based on the original logo that adorned the early race cars of the Bruce McLaren Motor Racing team. Created to celebrate the 50th anniversary of the last competitive outing for the original squad with Bruce McLaren himself at the wheel, the livery features the distinctive red, white, and green paint job seen on early 1960s cars. Designed by British illustrator Michael Turner, it was also the first to feature the famous "Speedy Kiwi." The latter will also be present on the 650S GT3’s roof. The iconic badge was also featured on the 1965 McLaren M2A single-seater prototype and a number of Group 7 sports cars. The most famous of the cars which ran the "Speedy Kiwi was the McLaren M1A, which scored the first podium for the team on its debut at the Canadian circuit Mosport in September 1964. The special 650S GT3, which will wear No. 60 and make a one-off appearance at Spa, will be driven by Bruno Senna, Luis Felipe Derani, and Duncan Tappy. Garage 59 is the leader of the Team’s Championship in the Blancpain GT Series Endurance Cup with two wins from the first three events of the 2016 season. The 2016 24 Hours of Spa is set to begin at 16.30 CST, Saturday, July 30. In 1992, McLaren took the supercar market by surprise with a vehicle that was unlike any other produced until then: the F1. Not only lighter and more powerful than anything else in dealerships at the time, the F1 was also the first production car to feature a carbon-fiber monocoque and a center-mounted driver’s seat, among many other unique features and innovations. 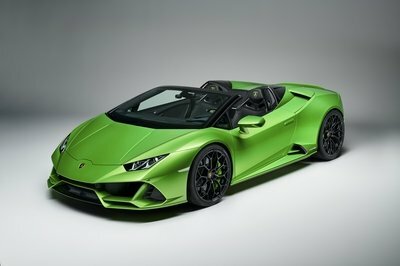 What’s more, it became the world’s fastest production car at 240.1 mph, smashing the previous record by a whopping 27.8 mph. What the world didn’t know then was that the F1 would also spawn a successful race car. Although McLaren had used many racing technologies and designs for the F1, Gordon Murray’s goal was to build "the ultimate road car." McLaren had no intention to take it racing, but many customers and racing teams started seeing the potential in the F1 as soon as the first cars had hit the roads. Ray Bellm and Thomas Bscher were among those who turned to Gordon Murray and Ron Dennis in an attempt to convince them to build racing versions for the BPR Global GT Series. McLaren agreed to build F1s for the track if Bellm would bring him at least three customers for such a car. A few months later, the three customers and Dennis met to sign the contract and the F1 GTR project was born, which would give McLaren its first outright win at Le Mans. 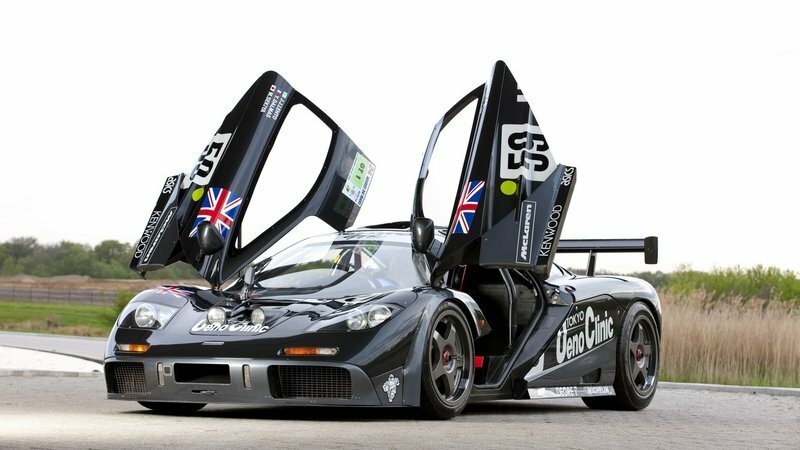 Updated 07/06/2016: In order to celebrate 650S GT3’s win at the Nürburgring round of the Blancpain Sprint Series this weekend, McLaren took a look back into the history and released a very cool video featuring the McLaren F1 GTR at the Nürburgring in the fifth race of the 1996 BPR Global GT Series. And you guessed, the F1 GTR was also a winner. Hit "play" to watch the video! Continue reading to find out more about the McLaren F1 GTR. Unveiled at the 2015 New York Auto Show, the McLaren 570S is part of the company’s Sports Series, a new family of sports cars designed to help triple the brand’s sales volume by 2020. Powered by a detuned version of the 650S’ 3.8-liter V-8, the 570S is aimed at the likes of the Porsche 911 Turbo and, together with the 540C, is one of McLaren’s most affordable sports cars, retailing from under $200,000. Unlike the P1 and 650S, the 570S was developed to deliver day-to-day usability and driveability, as well as increased luggage space and greater interior storage. However, it retains most of the feats common in McLaren sports cars, including a carbon-fiber frame, a lightweight design, and a premium interior. Like all McLaren road cars, the 570S was also designed to become a track car. The first such vehicle to arrive from the Sports Series was the 570S GT4, which already made its debut in the 2016 British GT championship as a development car before being sold to customers for the 2017 season. 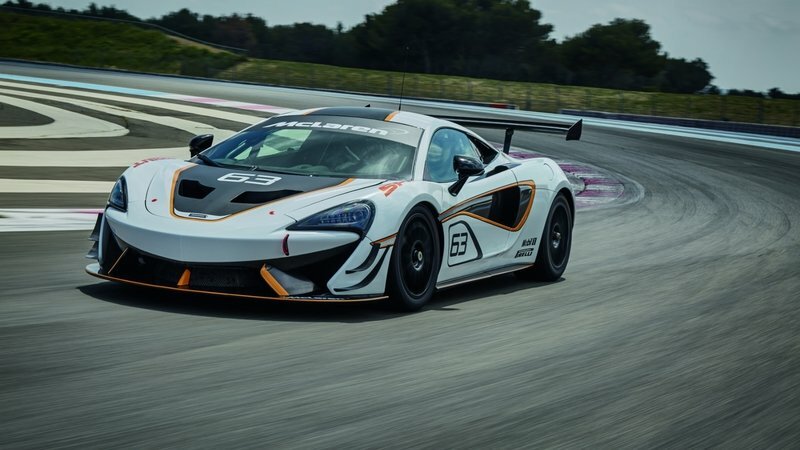 Alongisde the GT4, McLaren also created the 570S Sprint, a milder version of the race car that’s also dedicated to customers who spend their weekends at the track. Developed in conjunction with McLaren GT, the brand’s motorsports division, and GT racing specialists CRS GT Limited, the 570S Sprint will break cover at the 2016 Goodwood Festival of Speed and go on sale in 2017. The 570S Sprint echoes previous models with the Sprint badge, which means that the new sports car is unrestricted by racing regulations, but still dedicated for track days. More importantly, it is upgradable to a full GT4 specification for those looking to take on FIA events around the world. Updated 07/05/2016: McLaren dropped a new video from the 2016 Goodwood Festival of Speed, where the 570S Sprint made its global dynamic debut. Hit "play" to watch the video. Continue reading to learn more about the McLaren 570S Sprint. Launched in 2015 as McLaren’s first sports car priced under $200,000, the 570S is also the company’s first model to become a safety car. The brand’s entry-level coupe was chosen by the Stéphane Ratel Organisation (SRO) as the official safety car for the 2016 British GT Championship. 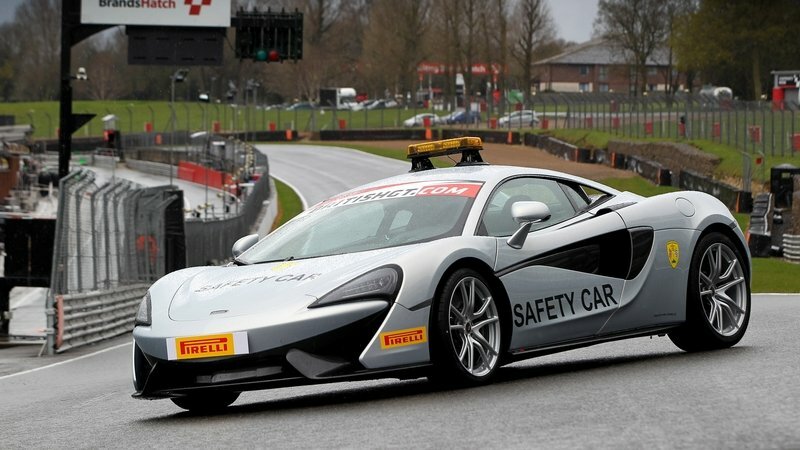 The 570S Safety Car will support each of the nine rounds over seven race weekends and pace a grid that includes cars such as the Aston Martin V12 Vantage GT3, BMW Z4 GT3, Lamborghini Huracan GT3, and the Audi R8 LMS. This year’s British GT Championship will also feature the McLaren 650S GT3 and the brand-new 570S GT4, which will run its development season in the series. "Motorsport is a key element to the make-up of McLaren – both in terms of our hugely successful history but also the extremely exciting future. 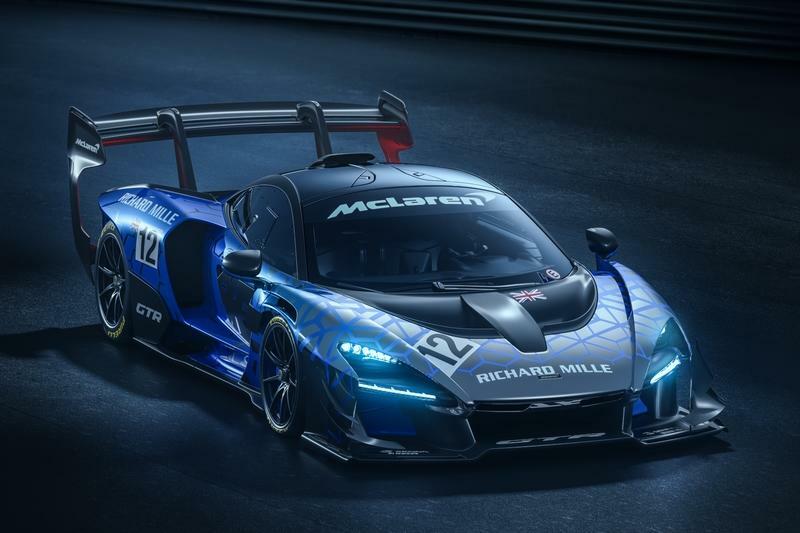 This latest partnership with the British GT Championship underlines the common links between McLaren road-going and track-dedicated models," said Ansar Ali, McLaren Automotive’s newly-appointed Motorsport Director. Much like any safety car, the 570S received a few exterior upgrades such as a light bar on the roof, "Safety Car" graphics on the doors, and "British GT" and "Pirelli" decals. Inside, the only addition is a radio system. 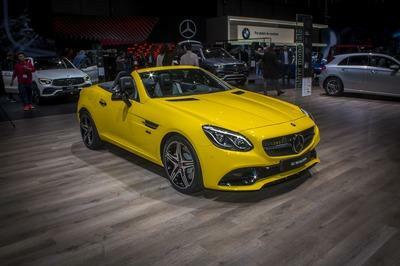 Everything is stock under the hood, meaning that the safety car uses the twin-turbo, 3.8-liter V-8 to put 562 horsepower and 443 pound-feet on the ground. This should be more than enough to pace the powerful race cars competing in the British GT Championship. With the 2016 Formula One season already underway, McLaren has released quite a spectacular video showing team driver Jenson Button jumping in the MP4-31 race car from an Airbus A400M. Yup, that’s no typo. 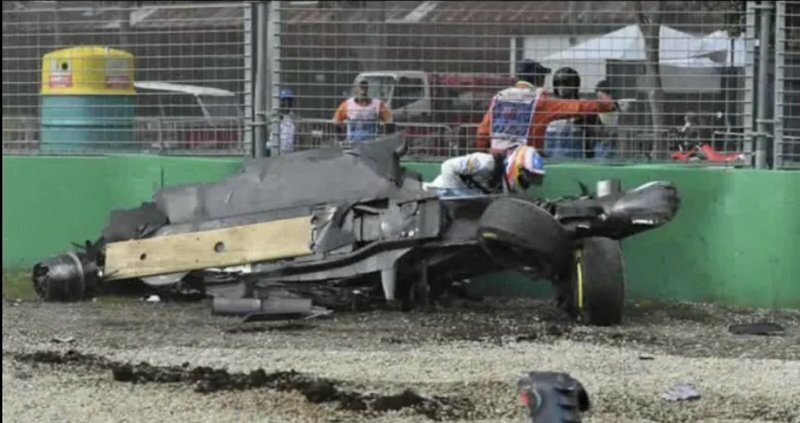 Button was dropped from the sky in a Formula One car from a military cargo aircraft that can carry two 8x8 armored vehicles. Not only that, but it landed directly onto a race track and put McLaren’s new single-seater through it paces before crossing the finish line with the massive airplane only a few feet above. 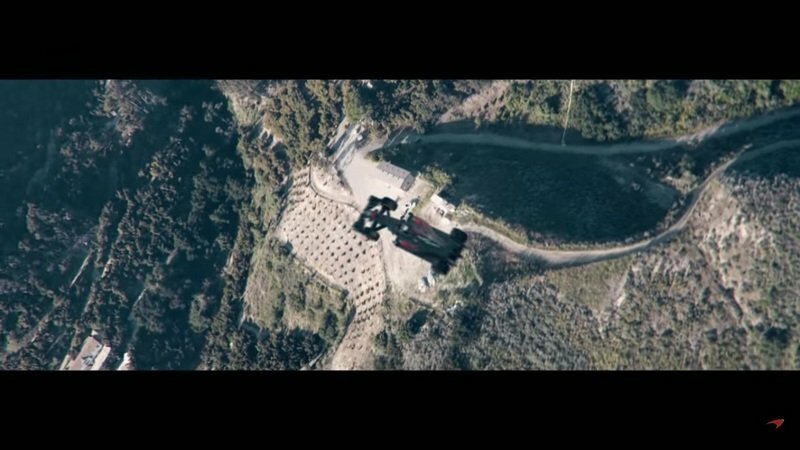 It’s obviously a nice piece of filmmaking, as McLaren wouldn’t risk an air-drop of an expensive F1 car, but such a stunt wouldn’t be impossible given that this airplane is being used to drop tanks and other armored vehicles. I guess it’s a nice way to grab the attention of racing gearheads after an unfortunate 2015 season with the new Honda power units and several reliability issues. Hollywood-worthy stunts aside, the two-minute video is promoted as a teaser for the 2016 season. The problem is that it comes several days after the championship hosted its maiden race, the Australian Grand Prix, at the Melbourne Circuit. Not surprisingly, Mercedes-AMG scored yet another 1-2 win, while McLaren ended the event with Jenson Button in 14th and Fernando Alonso retired after only 16 laps. 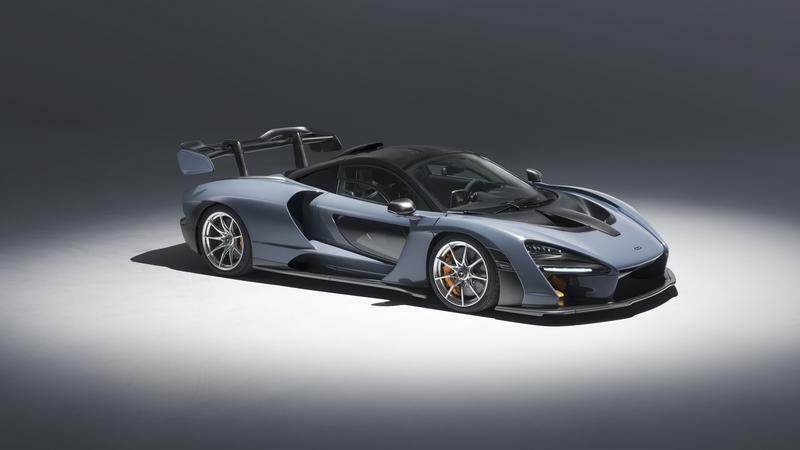 In 2015, McLaren debuted the new Sports Series, a family of sports cars slotted below the Super Series and aimed at the likes of the Porsche 911 Turbo. Having already launched three models, the 570S, 540C, and 570GT, the Brits are now pushing the Sports Series into motorsport territory with a track-only version called the 570S GT4. 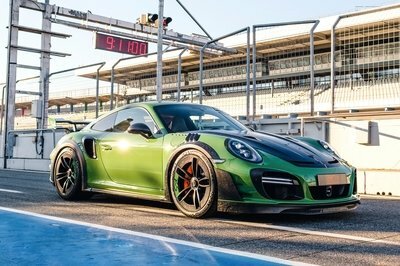 As the name suggests, the race-bred coupe was developed to GT4 specifications, which makes it eligible for an array of European racing championships, including the GT4 European series. 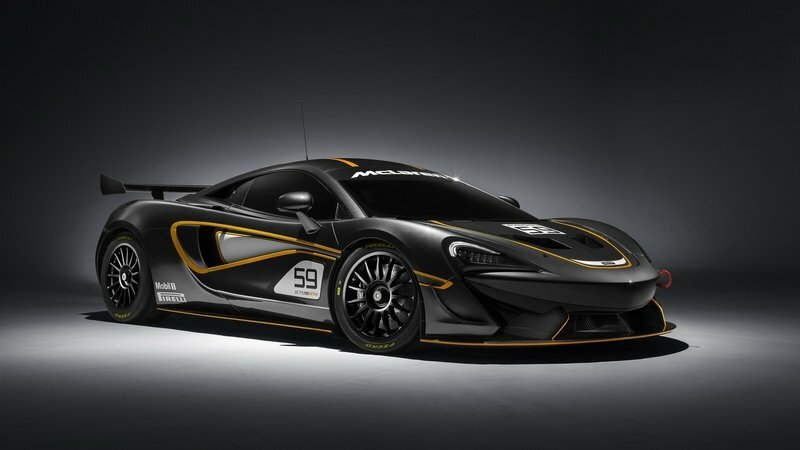 Created in conjunction with McLaren GT, the brand’s motorsports division, and GT racing specialists CRS GT Limited, the 570S GT4 will be raced in the 2016 season of the British GT championship. One example will be run by Black Bull Ecurie Ecosse before the car is homologated for GT4-spec championships globally and sold to customers for the 2017 season. 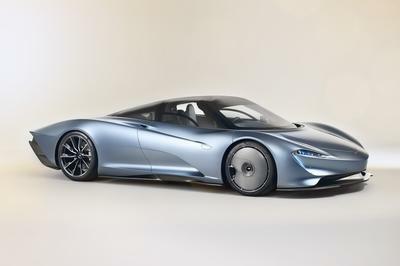 "The launch of the Sports Series has broadened McLaren to a new audience, introducing technologies to the sports car market and to a new group of customers. 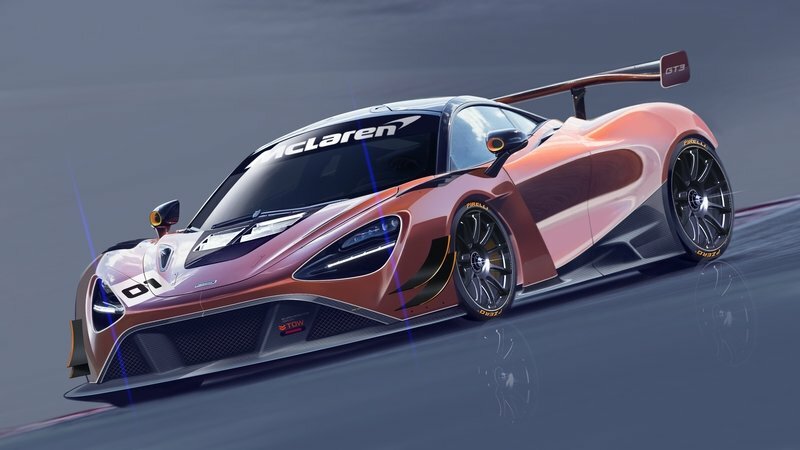 The 570S GT4 is doing the same in the motorsport world, and will bring the opportunity to own and race a McLaren -– previously limited to a very small number of people –- to a much wider group," said Mike Flewitt, CEO of McLaren Automotive. Along with the new race car, McLaren also announced that it has appointed Ansar Ali as Motorsport Director. Former CEO of Caterham Cars and current chief of Zeos Cars, Ali will be responsible for on-going strategy and management of McLaren’s motorsport activities. Continue reading to learn more about the McLaren 570S GT4.